The MXI-4E PXI Bus Expander allows for direct control of PXI systems from a PCI slot in a desktop computer or server. MXI-4E interface cards can also be used for linking multiple PXI chassis. MXI-4E technology utilizes a high-bandwidth link that is transparent to software applications and drivers, therefore providing the ability to use high performance desktop computers or servers to control PXI systems. The MXI-4E employs MXI-Express technology and builds on the standard PCI-to-PCI bridge architecture by splitting the bridge into two halves which are connected by a high speed serial link. 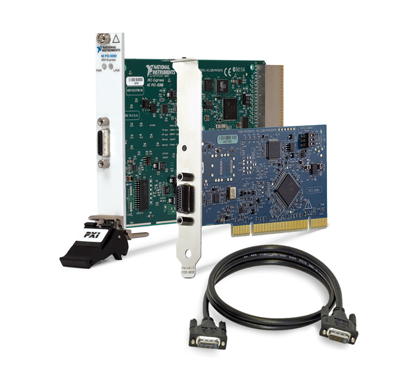 The MXI-4E kit consists of a PCI card, a copper cable, and a PXI interface card. Individual kit components may be purchased separately for spares or to meet your specific requirements.